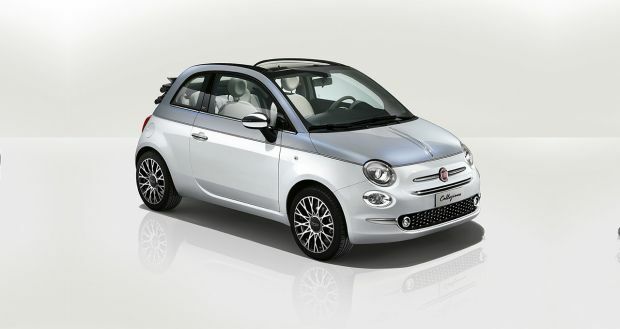 During the Geneve MotorShow, the Fiat brand launches a new special series dedicated to Fiat 500. With its amazing bi-color livery “Primavera”, this special series celebrates the 500’s timeless style and design, its iconic status and its ever-fashionable personality. The 500 Collezione features exclusive colour and material combinations, finely tailored workmanship and a fresh, sophisticated spirit. Welcome the warm weather with the Cabrio version, in pure 500 style. Available in both hatchback and convertible versions, the Fiat 500 Collezione is exclusively styled, with 16″ alloy wheels as standard, many chrome details, exclusive two-tone liveries and a special logo. More than six million units sold since 1957, more than two million in the last ten years. Today, Fiat 500 is a global icon, capable of generating more than 80 per cent of sales beyond Italy’s borders. Leader in the A segment, Fiat 500 once again confirmed this year its dominance in Europe, finishing in the top 3 in its segment in an astonishing 16 countries. The interior has the same restrained yet irresistible elegance, with original design choices. The dashboard is coloured to match the bodywork: white in the combination with two-colour “Primavera” and green in the combination with two-colour “Acquamarina”. The seats are also in two colours, with grey striped base and ivory upper section, embroidered with the 500 logo at shoulder height. The “Collezione” logo also appears inside, embroidered on the mats. What’s more, the new Fiat 500 Collezione offers the best in terms of connectivity and technology: as an option, customers can choose the Uconnect 7” HD LIVE radio, which is Apple CarPlayTM and Android AutoTM compatible, not to mention the optional integral navigator with Tom Tom maps, the largest-in-class 7” TFT display, and, for lovers of music on the move, the Beats Audio Hi-Fi system. Finally the range of engines: there is a choice of petrol, petrol+LPG dual fuel and Diesel units with powers from 69 to 105 HP, also with Dualogic robotised transmission and paddle shift. The car on the stand at the Geneva Motor Show is the 1.2, 69 HP version.